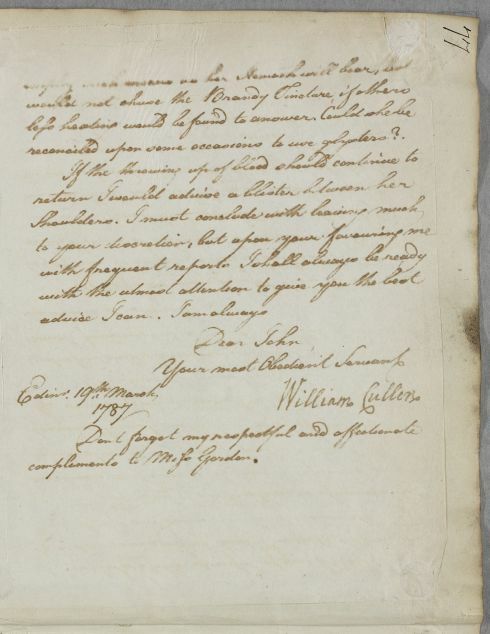 Reply to Mr Walker concerning the case of Miss Gordon, in response to 'yours of the 17th'. 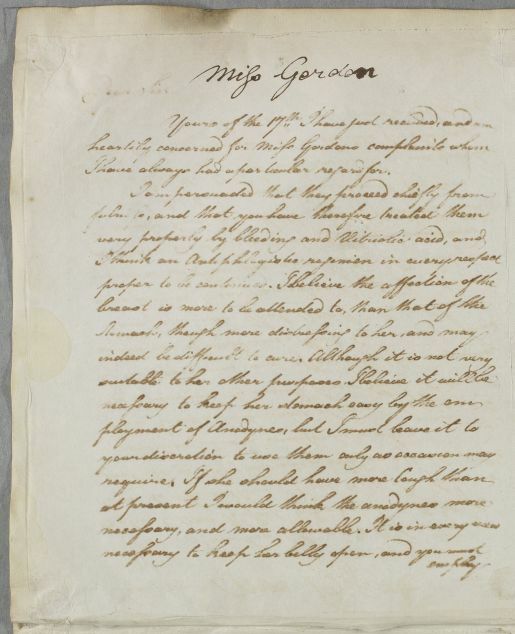 Summary Reply to Mr Walker concerning the case of Miss Gordon, in response to 'yours of the 17th'. Case of Miss Gordon of Crogo, who has a severe stomach complaint with nausea and continually vomiting. She has consulted Cullen in the past but previous case hitherto unidentified.